Bagboy is a comic strip about the struggle between a cartoonist and his strong-willed, often rude, sometimes unpredictable creation. 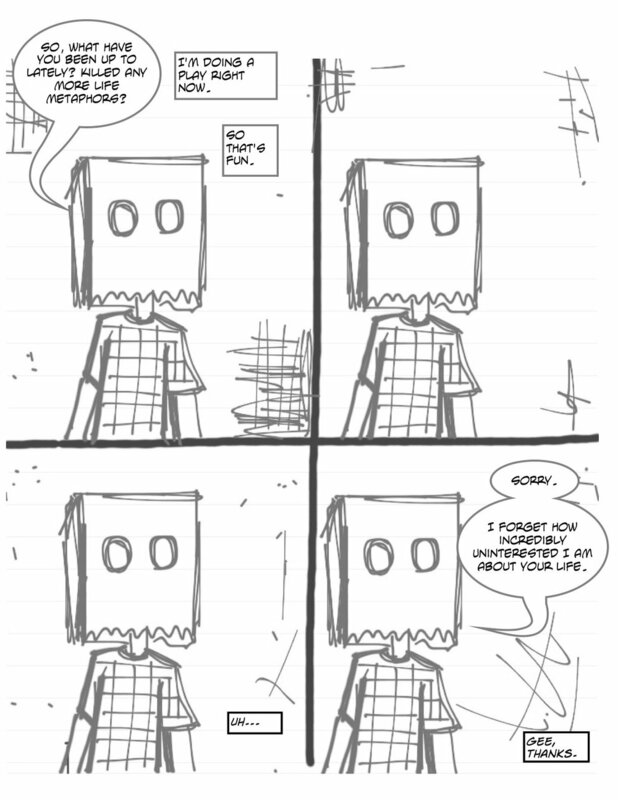 Updated by Jef Holbrook or “as daily as possible.” This comic is intended for adults. 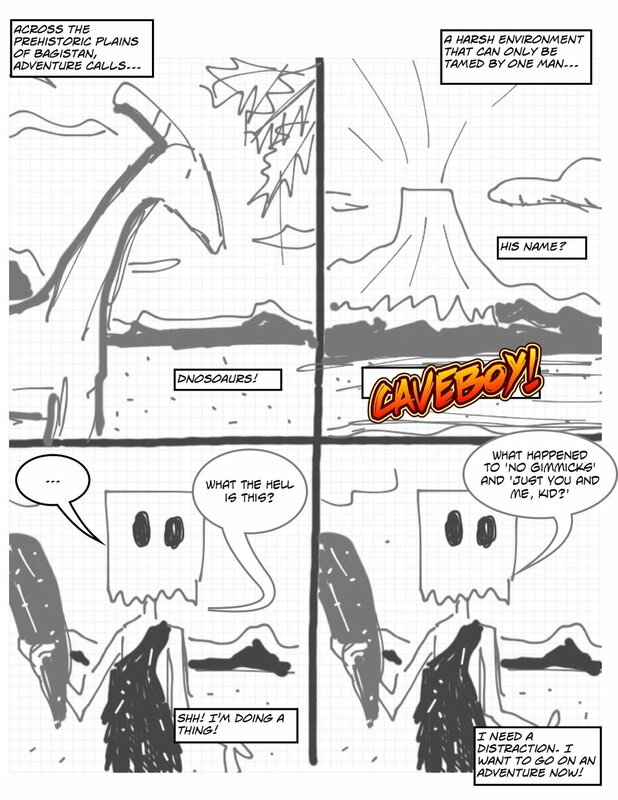 Bagboy is a comic strip about the struggle between a cartoonist and his strong-willed, often rude, sometimes unpredictable creation. Updated "as daily as possible" by Jef Holbrook. This comic is intended for adults. Bagboy is a comic strip about the struggle between a cartoonist and his strong-willed, often rude, sometimes unpredictable creation. Updated five days a week by Jef Holbrook or “as daily as possible.” This comic is intended for adults. Welcome to Bagboy 2.0! Bagboy is a comic strip about the struggle between a cartoonist and his strong-willed, often rude, sometimes unpredictable creation. This begins Act Two of the comic. 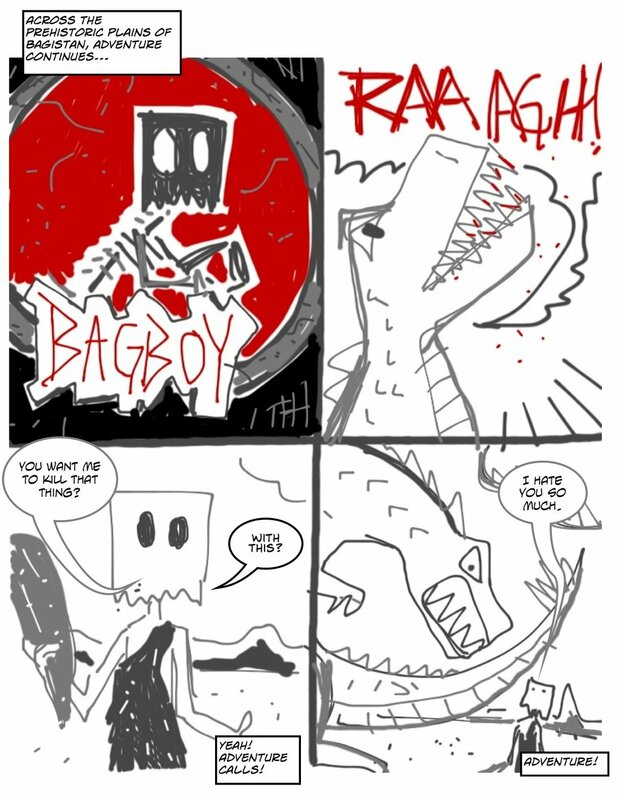 For Act One, read Bagboy #1 through #100 (spoiler alert, click if you dare! Updated by Jef Holbrook “as daily as possible.” This comic is intended for adults.